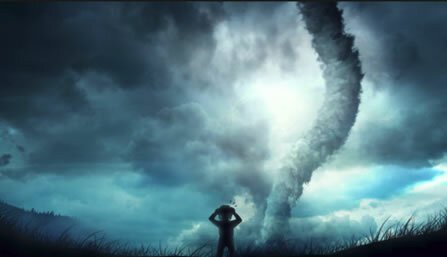 Tornados are often considered nature's most violent storm. Every year tornados leave death and destruction in their wake. Nature’s fury is a part of life, and for all of those who perish in these storms, many more survive. Below you will find facts and tips that can help increase your chances for survival. Tornados can leave damage paths in excess 50 miles long and one mile wide, and can have winds that reach up to 300 miles an hour. They can strike quickly, with little or no warning. Most tornados have a forward speed of 30-70 miles an hour. A tornado can appear nearly transparent until they pick up dust and debris. The largest percentage of tornados occur between 3 pm. and 9 pm. Most tornados move in a SW to NE direction. Tornados that form over water are called waterspouts. Flying debris is the leading cause of death during a tornado. Always be alert to changing weather conditions. Listen to NOAA Weather Radio or the news for updated reports and advisories. Be prepared to take shelter if needed. Look for these tornado danger signs: dark, or green skies, hail, dark low-lying clouds, cloud rotation and a loud roaring sound similar to a freight train. Take shelter immediately! If you're in a home, building, or other structure take shelter in a safe room, basement, outdoor storm shelter or garage shelter. If a shelter is not available then take refuge on the lowest level of an interior room away from windows and doors (like a closet). Also make sure to protect your head and neck. If you are in a vehicle or mobile home get out quickly and find suitable shelter; never try to outrun a tornado! If you are outside, then move indoors if possible. 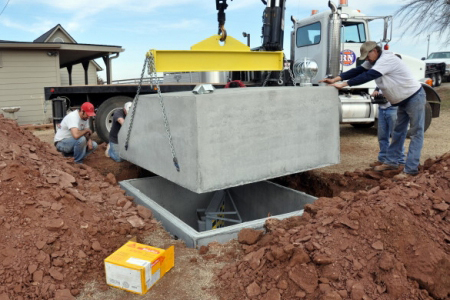 If an indoor shelter is not possible, then lie flat in a ditch or depression and cover your head with your hands. Do not get under an overpass or bridge unless it is your only alternative. Many people believe an overpass is a safe location but the fact is that the winds can accelerate substantially under an overpass. Overpasses also offer very little protection from flying debris and many people have been killed taking shelter under overpasses and bridges. 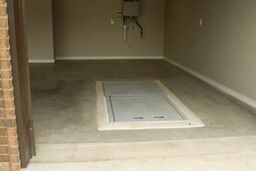 Your decision to install storm shelter could one day save your life, and the lives of your friends and family. So what are you waiting for? 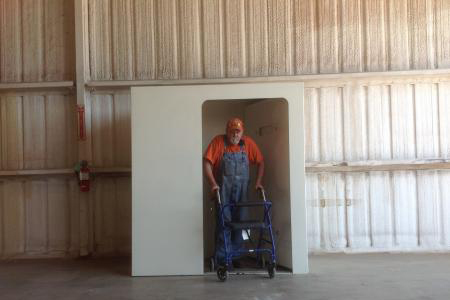 Order your storm shelter today!